Unimog Trucks: Getting The Most Out Of A Truck! 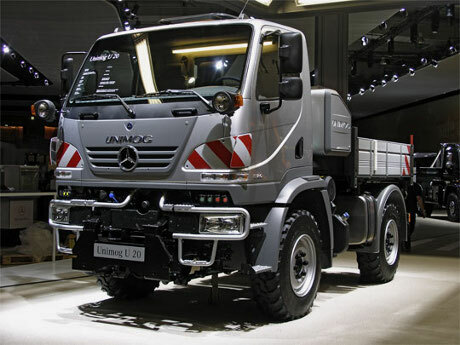 Being manufactured by Mercedes-Benz, it is only natural that the Unimog trucks are going to be quite a head turner. The basic feature of this 4WD vehicle is its multipurpose nature, which enhances the scope of its utilization. The vehicle has been accepted by several sectors of people and is continuously growing in popularity. The main advantage of having trucks is to carry heavy goods over longer distances through different sectors of geological conditions. Unimog Trucks have been designed to serve the purpose of both carrying goods and individuals in the form of medium-sized trucks. The name Unimog has been derived from the German term Universal Motor Great in the form of an acronym. Here, the term ‘Great’ stands for device or machines in the German language. The models of Unimog trucks are being manufactured from a period that can be dated back to the early days after the World War II. These vehicles were used to serve the purpose of carrying over machines to the fields and forests for agricultural and developmental purposes. The advantage of these trucks was that the wheels were uniformly built to provide the trucks with higher mobility on the roads than any normal agricultural tractors. Unimog Trucks had not been designed to carry the huge amount of load that the general trucks do. Instead, it had been provided with sound suspension. This effectively got the trucks to develop a flexible frame and gave it a ground clearance that was higher than other vehicles of its kind. This had been achieved through the fitting of portal gears, which further enhanced the transmission and axle shifts above the centre of the tires. At places where the terrain is highly uneven, Unimog Trucks can move around with considerable ease due to the flexible frame that allows the tires to have a higher vertical movement. They are also equipped with driving cabs providing higher visibility to assess the terrain they are driving on. The trucks are essentially fitted with mounting brackets for tools at the ends, both rear and front, along with the hydraulic features. These hydraulic measures enable the hydraulic arms and the bucket loaders to be made use of at required moments. At times, the vehicles are also aided with the power take-off mechanisms, which connect it to several rotary equipments. In general, they were designed for the armies and had been powered with waterproof M180 engine, which enables a vehicle to generate a standard horsepower of around 80 that could be increased with better compression heads. Unimog Trucks have been used by most of the army men and also civilians on several purposes, as suited right by them. They have even been used in the Dakar motor vehicle rally. However, it still holds dear to the military personnel, who have used it as ambulances, troop carriers and also as command centers at times, with radio and other equipments fitted into it. Big organizations have been using the vehicles for several construction and agricultural purposes, starting from shifting contractor equipments to replacing a normal farm tractor making it useful in every possible way for them. How does truck shipping works?